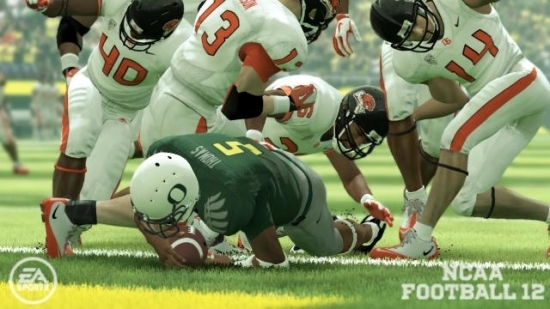 Earlier today I posted about several issues being experienced within Dynasty mode in NCAA Football 12 after having spent hours running tests – most of which were related to Online Dynasty. The hope was that some of those could be fixed server side. The “Transfer Failed” error that came up when a coach was fired or had their contract expire was one which seemed to have that potential to be immediately addressed. EA Sports has pushed a server side fix for the offseason contract error which I confirmed does work by running through a season. At the expiration of the contract I was finally allowed to “Explore other options in the Coaching Carousel” but keep in mind this was just as a sole owner in the dynasty. If anyone goes through a season with multiple owners and still faces the problem be sure to let me know. Now on to the dealing with the other problems like Teambuilder squads in OD causing consoles to freeze upon download of the file, injuries not carrying over from week to week in OD, and other miscellaneous problems being discussed within the community. There is also the pay-for-feature that allows for using SuperSim on the web that has been down for several days with the explanation being “maintenance” and a return of functionality planned tomorrow.